Atlanta, GA, July 9, 2018: The Federation of Indian-American Associations of Georgia (FIA Georgia) held a farewell dinner in honor of Honorable Nagesh Singh, Consul General of India in Atlanta, on June 16, 2018 at the Tadka Banquet Hall in Alpharetta, Georgia. Singh, who came to Atlanta in 2015, is returning to the Ministry of External Affairs after a 3-year service covering six states in the Southeastern region of the United States. The event started with a welcome address by Rajeev Menon, an active community leader. Dr. Vasudev Patel, President of Sardar Patel Foundation, shared his thoughts on why a platform like FIA Georgia is needed. 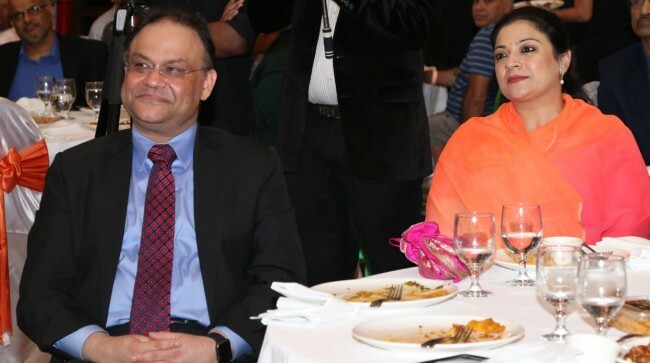 He said it is important to have a united voice for the entire Indian American community in Georgia so that our collective interests can be protected. 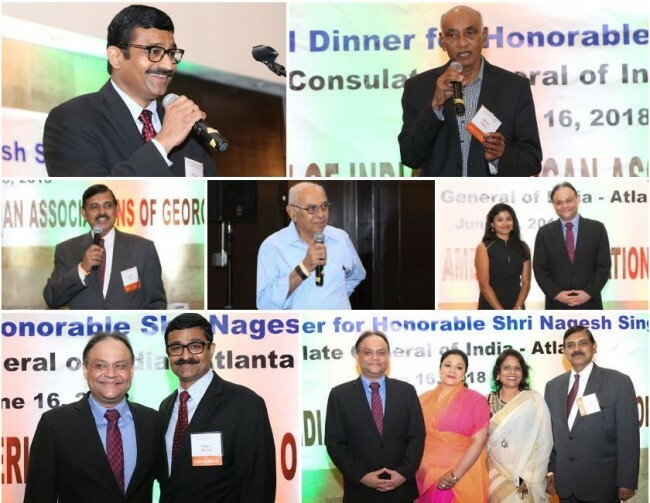 Dhiru Shah, Vice President of GIBC, introduced the Consul General and informed the gathering of the tremendous work that had been carried out by Nagesh Singhji and his dedicated team in the Atlanta Consulate. The Consul General in his speech thanked the community for the love and affection it has showered on him and his team. He said that it is difficult to leave Atlanta after the short stint here, something which he did not experience elsewhere in his career. Aishwarya Sreedharan emceed the event.